Using chopsticks in your hair to accessorize. I absolutely adore hair accessories. Every time a new hair accessory is advertised, I tend to go out and buy it. In some cases, the hair accessory did nothing for my hair or actually caused a bit of damage (ex: Conair Bun Maker – this sucker is like velcro to the hair!) but in most cases I can liven up my hairstyles with neat little accessory. One of my favorite hair accessories is the hair chopstick. 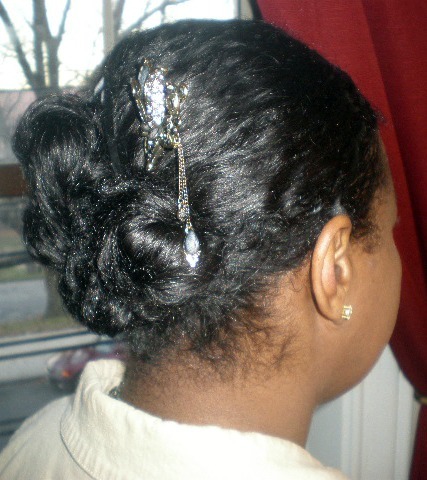 Hair sticks can make an ordinary looking style appear more put together. They are rather easy to use but for the most part, ladies tend to put them in the hair just one way. While April is almost coming to a close I wanted to slide a few more “How to” posts in for you to munch on 🙂 Today I’m sharing simple ways to decorate your hair with hair sticks – specifically the placement of them. NOTE: Since spring has really just sprung (and just barely), I haven’t taken the time to accessorize with hair chopsticks lately so I restyled my hair a few times in one sitting vs. sharing various days that I styled my hair with them. I don’t tend to accessorize my hair much in the winter. Now, there are many ways you can decorate your hair with hair sticks but buns, twists, braids and french rolls are the easiest styles to work with. The 3 ways I just shared are all bun based. I wonder how/if these would work with dreads. 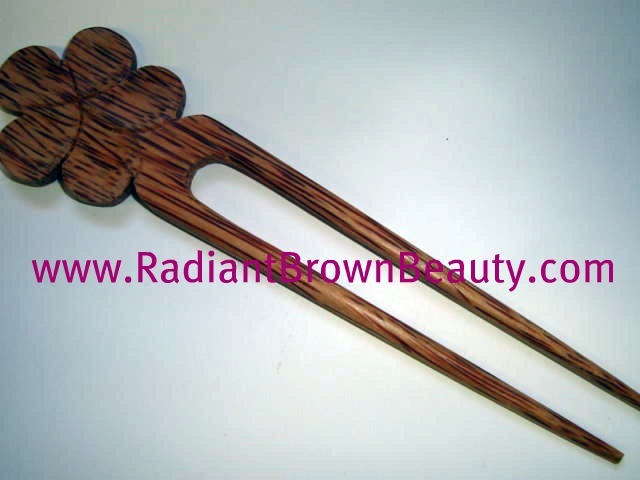 I’ve always thought hair sticks were beautiful and an easy way to snazz up a simple look. I don’t have the Conair brand but I did (foolishly) purchase Hot Bunz. Girl, I couldn’t get that thing to snap for nothing lol It’s definitely not made for nappy hair.